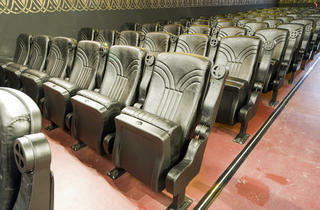 The historic theater now features comfy seats, a new bar and better films. 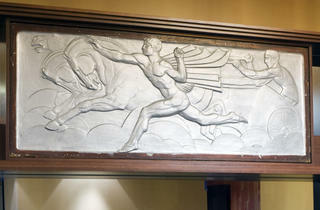 Mark Fishman, owner of the century-old Logan Theatre, has paused on a tour of his property to point out the finer details—including the toilets in the women’s lounge. For those Logan moviegoers intimately familiar with the vintage porcelain pedestals that previously looked as if they hadn’t been cleaned (let alone upgraded) in decades, these things matter. 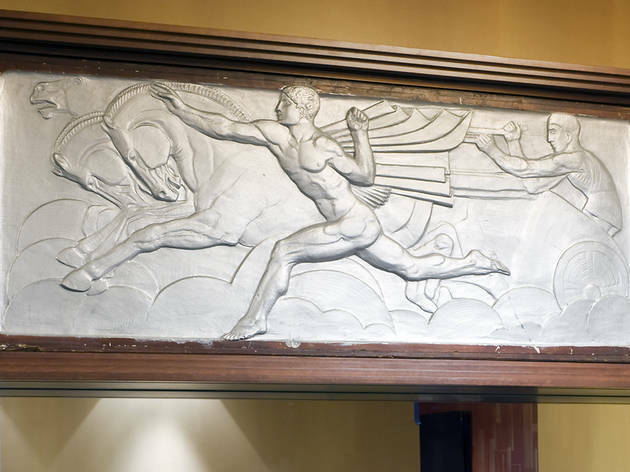 Dozens of upgrades are being completed inside the historic movie house, which is slated to reopen to the public Sunday 18 after closing for renovations in September, a year after Fishman bought the building from the family that had owned it since 1922. Opened in 1915 as the Paramount Theatre, a single-screen cinema designed in the style of the grand movie houses of that era, the Logan was later chopped up to accommodate four screens. Questionable construction decisions followed. Thin walls in the lobby were plastered directly over gorgeous slabs of marble, leaving any prior Art Deco details to the imagination. Arching over the box office, a transom of stained glass was hidden beneath a shoddy dropped ceiling. 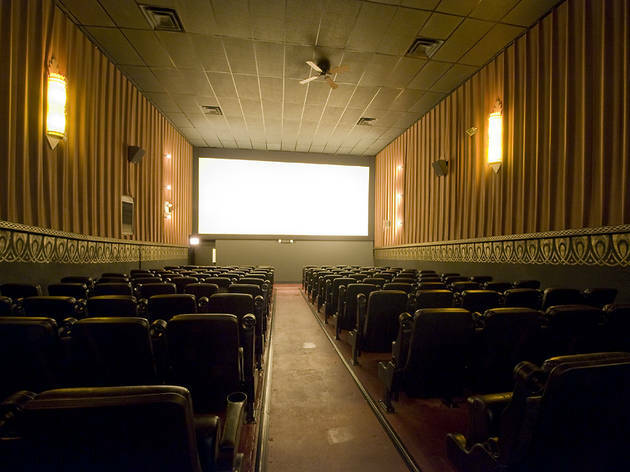 Decades of disrepair fostered stained carpets and a permanent smell of popcorn grease; fluorescent lighting offered a rude awakening after exiting the sticky-floored theater. 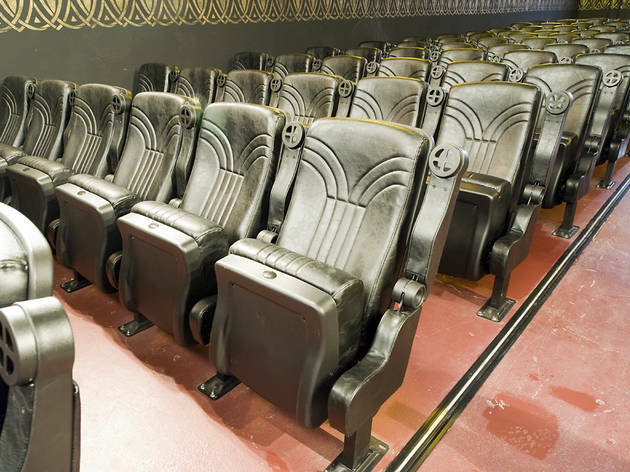 The theater chairs were brutal: Stiff-backed, cushions bursting with crotch-threatening springs, they literally kept patrons on the edge of their seats. Those seats were the first things to go when the rehab began. During our early-March walk-through, Fishman invited me to test out a new seat in one of the gussied-up screening rooms. He flipped down the armrest and gestured to the cupholder. “That’s where your cocktail goes.” Cocktails and beer are served in a roomy lounge in a former storefront north of the existing lobby. A wall between them was knocked out to make way for a full bar which, with a 2am liquor license, will remain open after the last show ends. Popcorn (“with real butter,” Fishman chimes in) is on offer, as are hot dogs, pizza and ice cream. 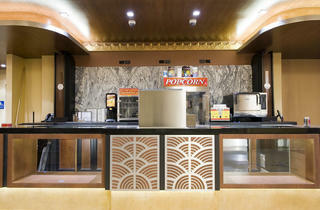 Pending final city inspections, the theater marquee will have an invite-only soft opening on Saturday 17. (Like the theater on Facebook for a chance to be invited.) The event will feature $1 tickets, popcorn and soda, and screenings of four of Fishman’s favorites: The Blues Brothers, Enter the Dragon, The Goonies and The Wizard of Oz. 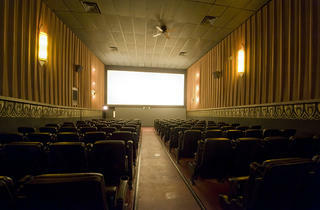 Thereafter, prices will be capped at $7 for evening screenings and $5.50 for matinees and kids. It’s a noticeable increase from the $4 tickets of old. 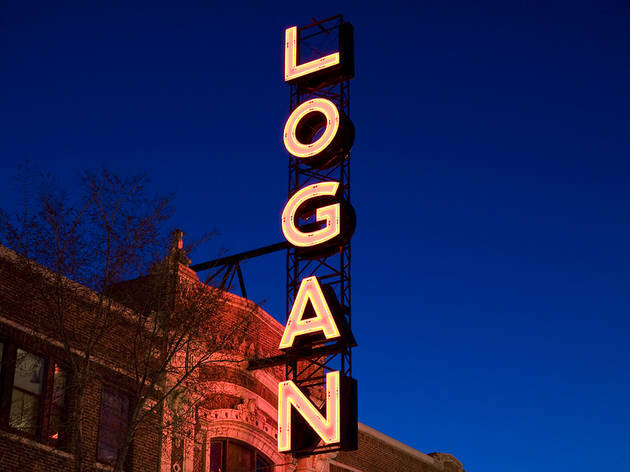 But back then, Fishman says, the Logan was a “sub-run theater,” often showing films as they were released on DVD. “We’re trying to really listen to what people are yearning for,” he says, referring to the theater’s Facebook page, on which his staff has promoted everything from naming the cocktail lounge to recruiting employees. 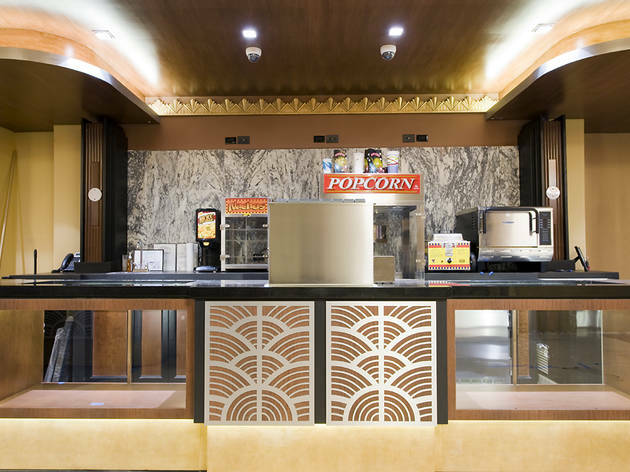 The new Logan’s fare will be a mixed bag: first-run Hollywood blockbusters and independents, occasional throwbacks, classics and plenty of kids’ flicks. 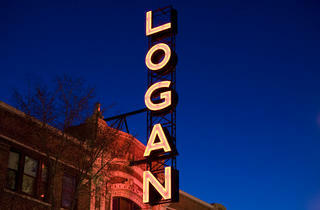 The reopening of the Logan Theatre (2646 N Milwaukee Ave, 773-252-0627) is scheduled for Sunday 18.